I wanted to change hotels in Bangkok as the usual hotel I stayed at had gone downhill. After reading reviews on Agoda I decided on The Pratunam Park Hotel. We stayed in a Deluxe room and it was spotless. The rooms are a little tired but I was told by the Room Manager Ornuma, who speaks English well told me they are renovating the rooms starting in October. On our second night, my partner was craving somtam or papaya salad. There is street vendors close to the hotel which is very handy. After buying some Isaan food we walked into the hotel and were told we could eat the dinner in the restaurant. We used their plates and cutlery all free of charge. Having the large bath in the room was great, soaking after a day of walking and non-stop shopping was great. On our floor, the 11th it was very quiet. We couldn’t hear the sound of anything going on outside. No revving tuk-tuks, motorbikes or taxis tooting horns. I look forward to returning there in October for another few days and also next year after renovations are completed. Walking distance to Platinum Mall. The room feel new and cleanliness is good. The bathroom of my stay has problem of slow drain flow. If this can be improve will be excellent. The hotel was under renovation.! Lift was too old. We mainly returned to hotel for nights only. So it would be better if a kettle is provided to make a hot drink. D sheets and towels are fresh but d supply of hair and body shampoo is not re supplied on d 2nd day. Overall a nice hotel but d vicinity is not so safe as we were constantly on d look out for drunks and pickpockets. The management is helpful and friendly. Staff friendly, Good location, Superd street food stalls. We were pleasantly happy with the location of the hotel. It was accessible to themajoy shopping malls and just a street across, there were a wide variety of street stall food. I enjoyed the feast of local street stalls food. As for the hotel's buffet breakfast, I loved the bacon wrapped in hotdog dish. I also like the pha thai served by the hotel. There were some lacking lapses e.g. there were no boiling kettle in the room. But other than that, the hotel reception staff was superb. There is a tall and chubby honest looking bellboy. He is a reliable chap. DO tip him well. It was a great location near to pratunum market. It was a wholesale market with so many stalls until i could not finish shoppind till the last day of my trip. We were all happy with our shopping. The things there was very cheap and was exactly the same as what you buy in Bugis in Sinapore.the location was also near to the Four Face Buddha, MBK though even need to take a taxi. Overall i'm happy with my trip. Staff were very nice and helpful. rooms were big and convenient.the hotel seems quite old though.the bed was comfortable and the bathroom was clean.just walking distance to the pratunam market and platinum fashion mall.this is definitely the hotel to stay for those who are into shopping. Good location, clean and spacious room. 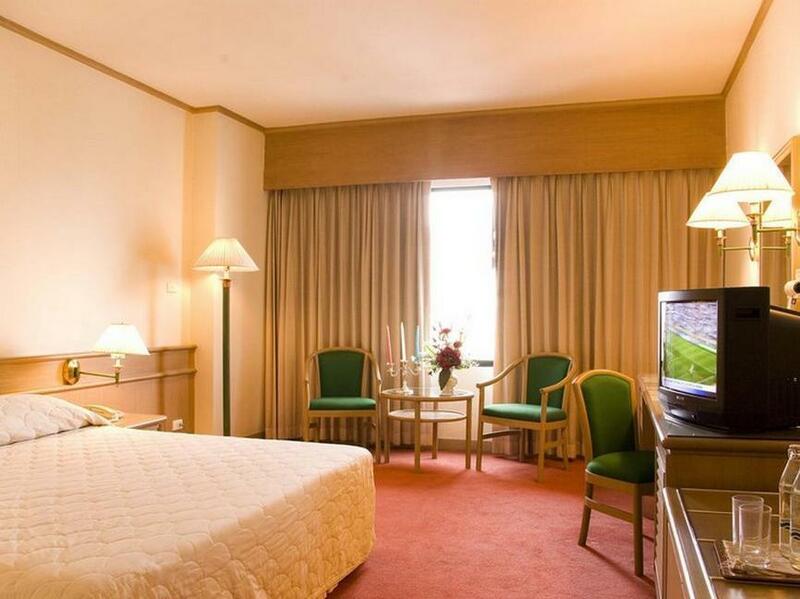 the hotel is in a very good location with good eateries around and the room is very clean. is walking diatance to the shopping areas. mbk is a bit further about 2 km or 30 minutes walk. they have a very good reception (always smiling) who are able to speak engish and give valuable advice. there is also travel advisory on the do and don't in bangkok in the hotel room. 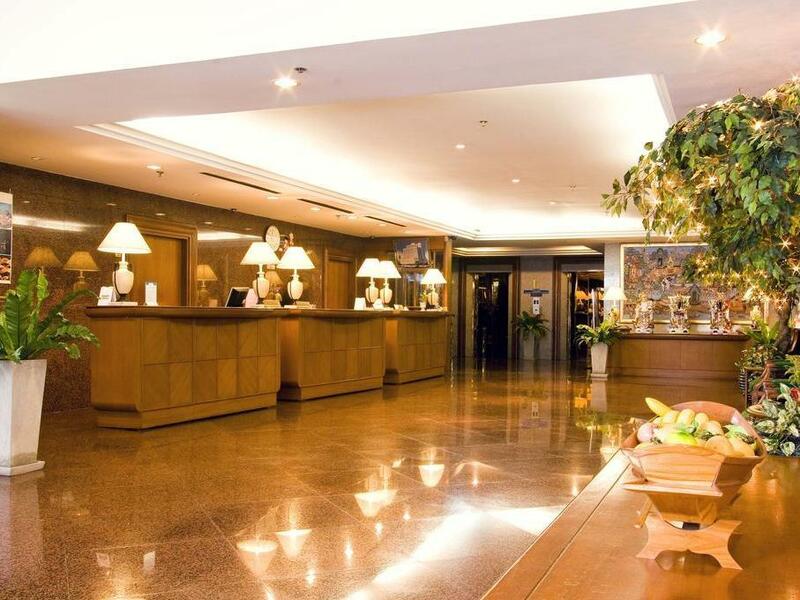 The hotel location is about less than 5 min walk from Baiyoke Sky Hotel. There is a 7-11 store just opposit the hotel which is very convenient and alot of street food (you are adventureours in trying). There are night market around the hotel and during the day plenty of shopping in the Pratunam area. However, the hotel furnish is a bit old but the staff is friendly in giving advice. the porter is very friendly in helping with our shopping bags too.the breakfast spread could improve with more variety though. Overall, for the price I paid, I would think it is value for money. This was a very nice hotel within the shopping district of Bangkok. The staff were all friendly and polite, greeting you with a smile. The room was very spacious with comfortable armchairs for sitting. A delightful breakfast was served and having returned to stay two days later, I found the breakfast selection varied slightly. Internet access was not always connected which might cause some visitors concern. I found the bed to be comfortable and having stayed on the 9th floor, it was very quiet. There were large windows which provided a reasonable view of the area. There was an in-room safe, perfect for those valuables while out walking and the bathroom even had a bathtub with shower. The staff gave information on sightseeing and hailed taxis or tuk-tuks to your liking, conversing with drivers for price. The street at the entrance of the hotel is only narrow, as are many, and with the busy traffic flow in Bangkok, this does become quite 'bumper-to-bumper' during peak times, which can seem to be very often. You get where you need to in the end. This hotel is a walkable distance from the river taxi service (cheap too) to get you to different areas for sightseeing. (Don't be fooled by those who stop you saying the service stops at noon and that you're better to take a long boat down the main canal!) This location is ideal for shoppers with many plazas, malls and roadside markets around. Overall a lovely experience at this hotel. Tip: Complimentary bottles of water (glass ones) are refilled, although you're not made aware of this, so you may be inclined to throw the bottles as I did. frankly, i stay at this hotel as there is flood in my house. the hotel gives extra discount for those who are suffering from the flood. it's in the middle of inexpensive shopping area, pratunam. it's also just a minute walk to the tallest building of thailand, baiyok. the hotel is clean. สถานีรถไฟฟ้าแอร์พอร์ตเรลลิงก์ ราชปรารภ - ระยะ 0.33 กม.